We designed them specifically for nature, landscape, wedding and portrait photography. 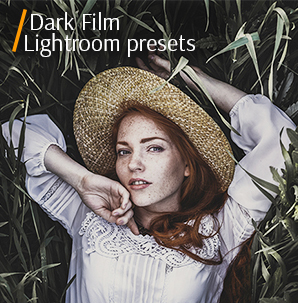 Сool Adobe Lightroom presets can give your images a clear, vibrant and cool look. Medium lights, saturated colors, cool toning, soft light, clarity and bright highlights can make your photo perfect. All that concerns the "cool" or "warm" colors in the photograph is called Color temperature. The mood and presentation of your image can significantly depend on the tones of the color temperature, which can vary from cool blue to warm orange. Your photo can change after an elementary shift in color tones, and these changes can cause different feelings, starting from excitement or happiness, ending with drama. LR preset #1 "Soft Light"
LR preset #8 "Cold Sun"
LR preset #9 "Soft Skin"
LR preset #10 "Winter Tale"
If you want to use cool tones to create a saturated and dramatic effect with the sense of distance and alienation in your photo but do not know how this can be achieved? 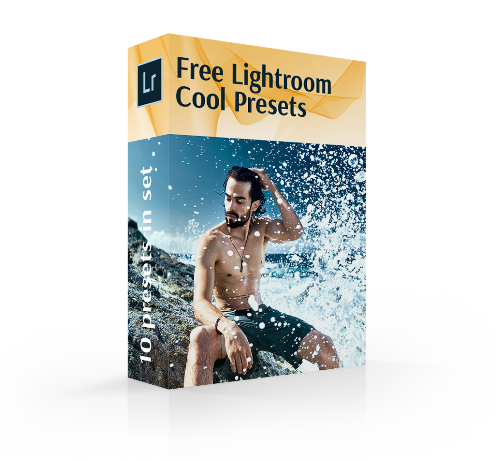 To create a photo filled with cool tones, we have prepared for you the easiest and most reliable way - using our cool Lightroom presets. All the photo retouching filters we wrote about above were gathered by our professional photographers. They were created with attention to every detail and they are suitable for different topics: wedding, architecture, nature, landscape photography, etc. Free Cool Lr Preset #1 "Soft Light"
The unique photo post processing with a dramatic note with an excellent cool preset for Lightroom, adds a blue tint, makes the image more expressive, and more unusual. It darkens all shades of other colors, and makes the skin darker and colder. Cool Lightroom Preset #2 "Darken"
This preset was taken from "Majestic Landscape"
A beautiful Lightroom preset cool tones in the photos where there are small overexposures. The effect corrects the excess of white in those places and adds a contrast to the photograph, which makes it more expressive and lively. 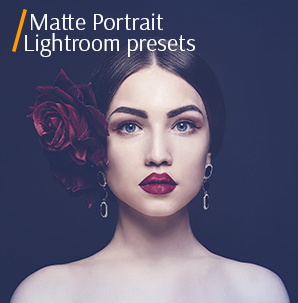 Lightroom Cool Preset #3 "Matte"
A good filter for portrait photography, which makes a toning with changing the tonal shades, and is great for dark photos without flashes. Cool Presets for Lightroom #4 "Saturation"
This cool Adobe Lightroom preset attaches saturation for the shadow in your photographs so they look sharper. This filter adds a vivid transformation to the boring parts of your photos. Cool Adobe Lr Presets #5 "POP"
It's a LR plugin thanks to which your photo will have a new view with bright colors. It works great with images that may look pale or a little bit lacking of the movement, which is common during photoshooting landscapes. Lr Presets Cool Tones #6 "Film"
With this cool Adobe Lightroom preset, your photo can look like it was taken at the muted film camera. The image will be soft, with pastel greens and medium grain. Cool Lightroom Presets Free #7 "Brighten"
This Lightroom presets shifts the shades to the blue part of the spectrum and gives the photo a cooler look. The use of this effect is suitable for photographing buildings and monuments, as well as winter landscapes. Cool Tones Lr Presets #8 "Cold Sun"
Your photo will get look like a stylized street photography, with clarity and sharpening, slightest vignette, slightly clipped shadows and highlights, high dynamic range and strong grain. Cool Free Lightroom Presets #9 "Soft Skin"
This cool Lightroom preset adds to the skin a copper tint in your portraits in a single click. You can easy install it for recognizable results and it's compatible with all available versions of Adobe LR. Lightroom Presets Cool #10 "Winter Tale"
The effect doesn’t create an aggressive color tint, so it fits almost any photo and creates light contrast editing to enhance the overall contrast of the image. Lighting Conditions. If your images were taken early in the morning or during the twilight, and the lighting has a beautiful shade of blue, try our plugins. They will be able to lighten your photos, emphasize the refined lighting and colors obtained from photography in certain conditions and time of day. Photos with LED lighting that are made indoors also will look flawless after using Lightroom presets cool tones. White color. If in your photos there are a lot of white tints, try our effects. The use of a large amount of white in the image, as a rule gives it a cooler sensation in itself. Our cool Adobe Lightroom presets enhance this effect by cooling all warm tones, increasing sharpness and slightly darkening the photo. Temperature Contrast. There is another very interesting and original type of photos that will look great with our plugins. These are images on which cool colors predominate. A great way to make a photo feel cooler is to add a little warmth into it to receive contrast. 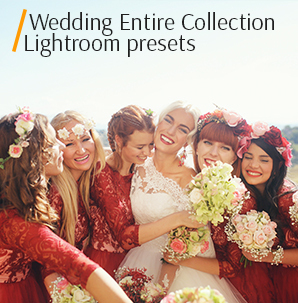 Our Lightroom presets cool will easily cope with this task by enhancing the colors and contrast of the photos.